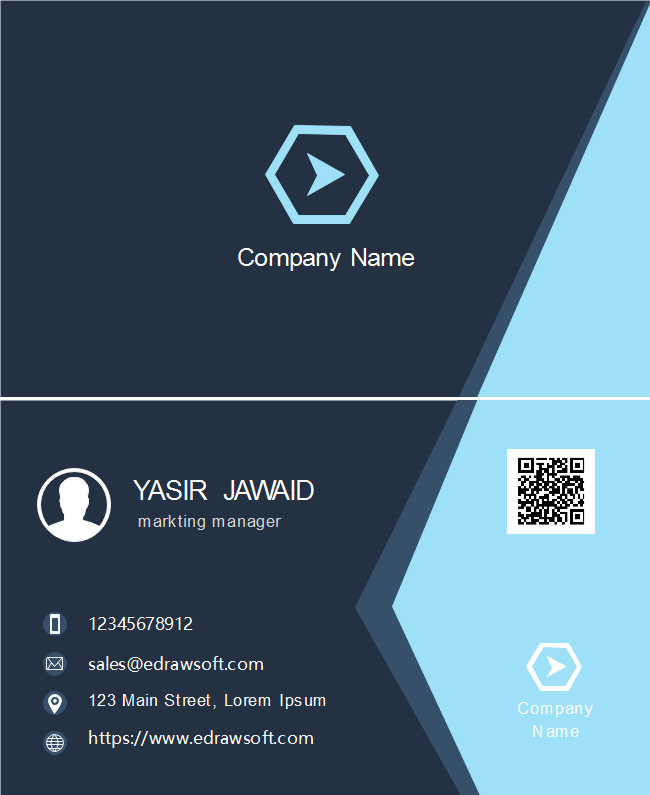 Description: Here comes a dark blue background light blue triangle business card template with an intelligent interface and modern fonts. All you have to do is simply type your company name using Edraw's handy graphic design tools. More exporting and sharing options are available.